Call the Glen Echo Park hotline at 301.320.2330 or visit the Partnership Website regarding park closures or other activity cancellations. 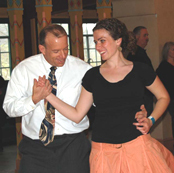 Waltz Time is an all-volunteer group of dancers who have produced the twice-monthly waltzes at Glen Echo Park since 1995. The group has donated all net proceeds to the renovation of the Spanish Ballroom and the Bumper Car Pavilion, and to help continue Park programs. All of the Sunday afternoon waltz dances are held at Glen Echo Park, 7300 MacArthur Blvd., Glen Echo, MD 20812 in the Spanish Ballroom or occasionally in the Bumper Car Pavilion (noted in the schedule below). 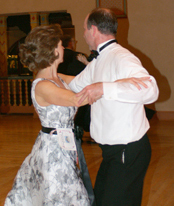 The Sunday afternoon waltz program follows a similar format at each event. 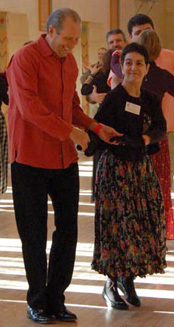 A lesson is offered from 2:45 pm - 3:30 pm and starts with basic concepts for those not familiar with the folk style of waltz. At 3:15 pm, we teach an "advanced" step for returning dancers looking for a little something extra to add to their repertoire. 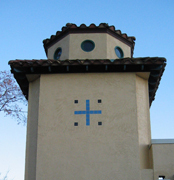 The lesson is followed by dancing to live music from 3:30 - 6:00 p.m. 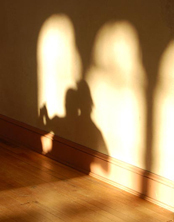 Cost is $13 per person, $5 full-time students and children; cash or check (includes the lesson from 2:45 - 3:30 pm). You do not need prior dance experience. Tickets are sold at the door - there are no advance ticket sales. Please visit our FAQ page for more answers to your questions. You can also email us at info AT waltztimedances DOT org. We invite you to join the lively community of waltzers and enjoy the afternoon dances at Glen Echo Park. We know that you will have a great time! Join us on Facebook or at our News Blog! Two more ways to view Waltz Time events are at our Facebook Group or Waltz Time News, a blog that is maintained by Waltz Time Committee members. A Benefit Dance for Glen Echo Park — featuring OLDE VIENNA with Elke Baker (violin, viola), Andrea Vercoe (violin), Barbara Heitz (flute, piccolo), David Wiesler (piano), Ralph Gordon (bass). 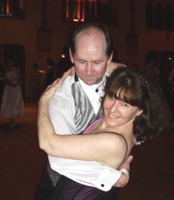 Waltz Time has discontinued its bi-monthly newsletter that was emailed to subscribers through Constant Contact from 2008 through its July/August 2016 issue. In its place, we have established Waltz Time News -- a blog that is maintained by Waltz Time Committee members. To receive email notifications of posted information from our new blog, please visit Waltz Time News, provide your email in the box located in the right-hand column, and click the box labelled "Subscribe." You will then get an email with instructions to confirm your subscription. All bands and prices are subject to change. For final information, please revisit this site prior to attending a Waltz. Photo credits: Candace Clifford, Donna Barker and the late Elaine Washburn. Glen Echo Park Partnership for Arts and Culture, Inc., the National Park Service and Montgomery County, MD.